This photo also presents a beautiful view of the arcade, but I’ve seen it in everyone’s collection. When I go on a shoot, I’m looking for something different. The key to finding the different shot is to look around. Look up, look down, turn around, kneel down, climb up, and look for small details. 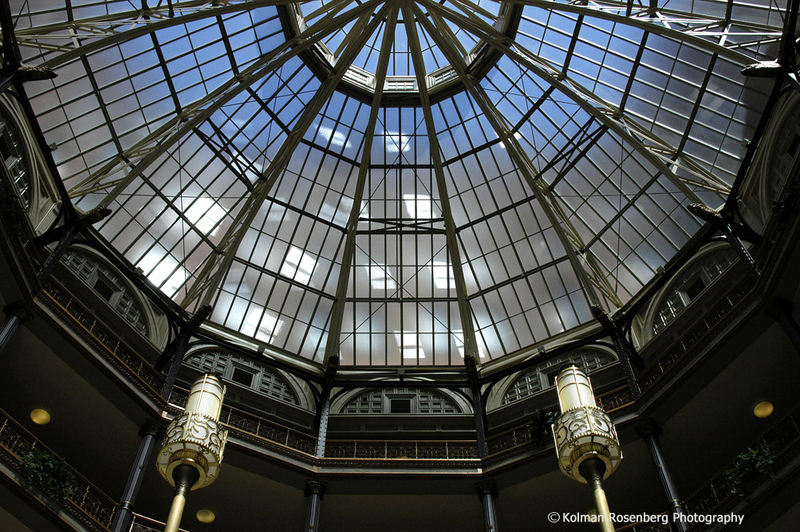 The top photo on this posting was found by simply looking up at the skylight ceiling of the arcade. It’s there for everyone to see but I’ve never seen another photo of the arcade that is similar. The different photos are the ones that can set you apart from everyone else! 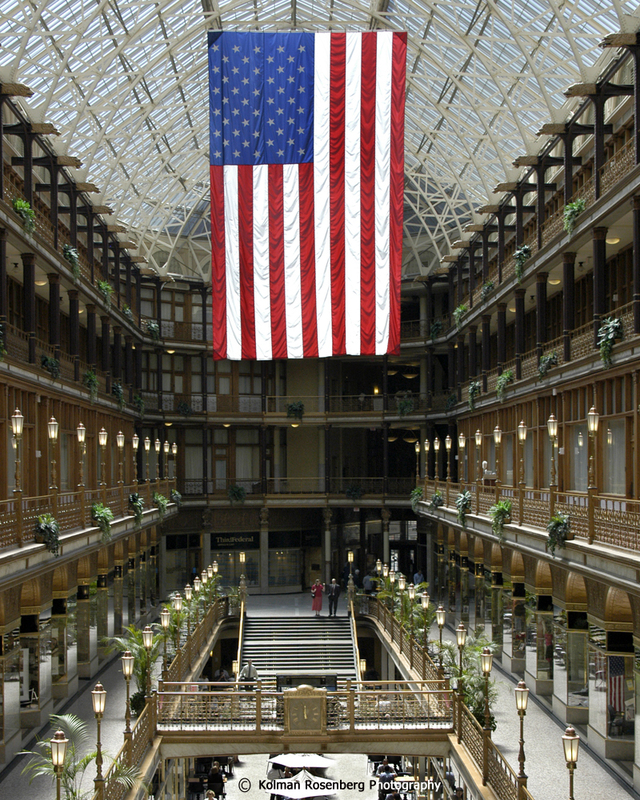 This entry was posted in Uncategorized and tagged American Flag, arcade, architecture, Cleveland, design, mall, old, perspective, shopping, victorian. Bookmark the permalink.